Motorola a globally acclaimed smartphone maker has a huge fan base all across the globe and India is no exception to that fact. 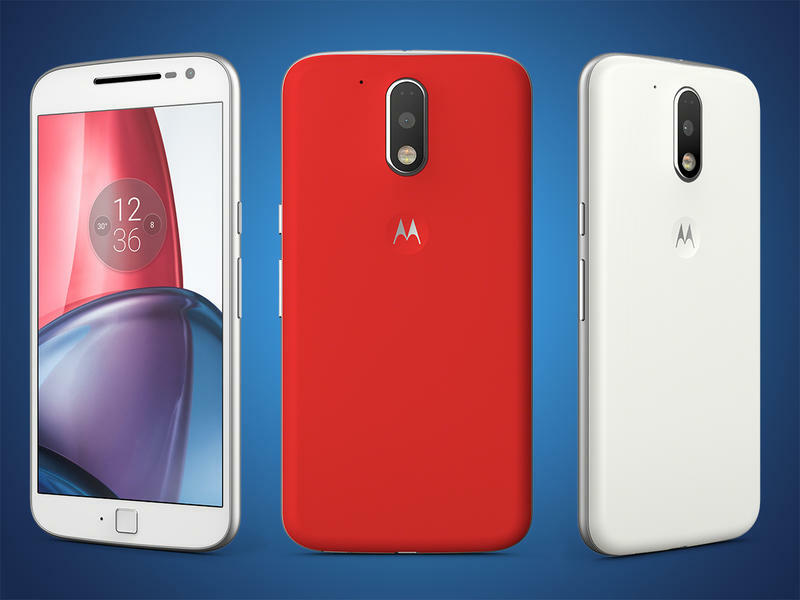 We all are aware that the Moto series smartphones have attracted Indian smartphone lovers a lot, specifically the Moto G and Moto E Series. 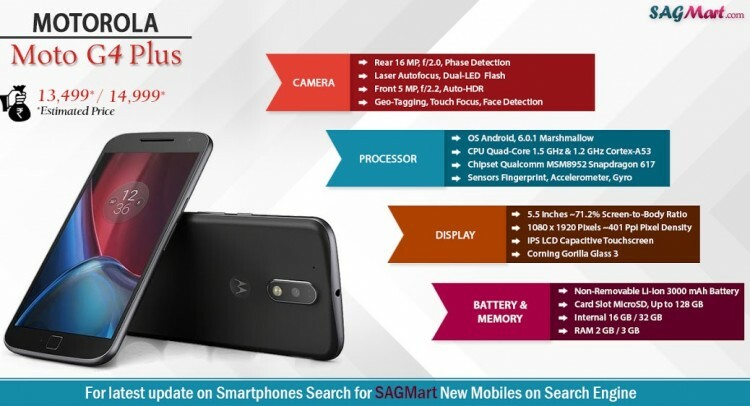 It’s also a well-known fact that out of all the Motorola smartphones the Moto G Series have always maintain the reputation of being a good smartphone by keeping a balance between price and features. 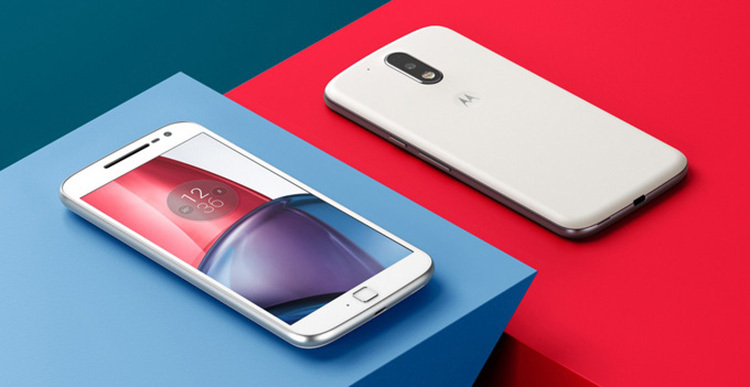 It’s noteworthy that Motorola is now owned by Lenovo, and only after the acquisition the fourth generation Moto G marks the debut of Lenovo’s branding on a Moto smartphone. However, the classic Motorola logo is present but it’s obvious that Lenovo aims to make Moto role a sub-brand of itself. The Earlier released handsets, the Moto G (Gen 3) and the Moto G (Turbo Edition) were solid performers but were criticized for their camera performance, which Motorola has struggled in almost all of its smartphones. Coming on the Moto G4 Plus, it is a better-equipped version of the Moto G4 that aims to change many perceptions with its improved camera and software. Let’s take a tour of all the positive and negative aspects of the Moto G4 Plus and figure out how well has the company succeeded in achieving that goal and whether this smartphone has the upper hand over its competitors or not. The Motorola’s iconic smartphone design continues to live on in the G4 Plus. Although not as distinct as before, it’s certainly identifiable as a Moto product. The rounded metal frame coupled with the rubber back cover offers good ergonomics and grip. The smartphone is a fair bit larger than its predecessors and have 5.5-inch full-HD TFT display. The Gorilla Glass 3 has been incorporated for added display protection and the device is fairly slim at 7.9mm and has good weight distribution so it doesn’t feel heavy when you hold it. The Moto G4 Plus has additionally been added with a fingerprint sensor and the sensor can recognize your fingerprints from any angle and works very well all the time. The physical buttons on the side are placed well within the reach of your fingertips and the power button has ridges on it to make easily identifiable. The headphones socket and Micro-USB port take their places on the top and bottom respectively. The back of this latest smartphone in India is mostly flat as opposed to the earlier curved designs of Moto G models, and slight bumps are present around the camera module. The 16-megapixel camera sensor has been accompanied by a dual-tone LED flash and a laser autofocus system. On the battery front, the Moto G4 plus has a 3000mAh battery and have slots on the side for a microSD card (up to 128GB) and two Micro-SIMs. One major feature that’s missing is the IP67 certification which earlier variants boasted of. The retail box of the smartphone contains a TurboPower charger (25W) and a headset and the wall charger is not modular so users require a separate USB cable for data transfer. The headset looks and feels a bit cheap, and it didn’t fit very well in our ears. On the specification front, the Moto G4 Plus uses Qualcomm’s Snapdragon 617 SoC, which is an octa-core chip running at 1.5GHz. This is the same SoC that was used in the HTC One A9. The handset has a 3GB of RAM and 32GB of onboard storage. It must be noted that the phone will also be available with 2GB of RAM and 16GB of storage at a lower price. Other specifications include 4G LTE (Category 4), Bluetooth 4.1 Low Energy, dual-band Wi-Fi b/g/n, GPS, GLONASS, USB-OTG, and FM radio. NFC is not present. As is the case with all Moto smartphones, the G4 Plus runs on Android, Marshmallow 6.0.1. There is an LED to the right of the fingerprint sensor but we only noticed it when it briefly lit up while charging the phone. Moto Actions lets you trigger various motion-based gestures, which all work as advertised. There aren’t any preloaded apps other than a file manager and the standard suite of Google apps. Without any bloatware slowing it down, the G4 Plus is one snappy performer. On average, there’s about 1.2GB of RAM in use leaving you with plenty to spare. We noticed virtually no slowdowns or lags in animations and when switching between apps. The SoC does get warm quickly while playing games or even when using data or GPS, but it is nothing too alarming. You’ll notice a bit of lag in the camera app if the smartphone is warm, which could be due to the system throttling the CPU speed in order to prevent it from overheating. The gallery app has been replaced with Google’s Photos app, which is not the best, to be honest, but it does its job. The phone manages to handle high-bitrate and full-HD videos well and the Photos app also lets you edit photos and trim videos. Music is handled by the Play Music app, which is functional but FLAC files aren’t supported but you do get equalizers for wired headphones as well as the speaker. Those concerned about the lack of stereo sound shouldn’t worry as the single speaker in the earpiece is loud enough for alerts and general media playback. One of the biggest highlights of the G4 Plus is the camera, which is a 16-megapixel shooter with f/2.0 aperture and Phase Detection Autofocus (PDAF). The phone also gets a laser autofocus system to quickly lock onto nearby objects. What’s more important is the overhauled camera app. You can use tap-to-focus on your subject and also adjust the exposure with a slider and long-tapping on your subject will lock the focus, which is helpful. You get more shooting modes too, like slow-motion video, panorama, and a professional mode. The latter really comes in handy when shooting in low light as it lets you adjust the focus, white balance, shutter speed, ISO and exposure compensation. The ISO range is from 100-3200 while maximum shutter speed is 1/5sec. Slow-motion video is fixed at 120fps at 540p resolution. Image quality for landscapes and macros in daylight is much better than before. The level of detail is pretty good and the sensor captures fairly accurate colors. We recommend keeping HDR set to Auto as it helps liven up scenes. Pictures taken under artificial lighting look good at first but zooming in reveals a fair bit of color noise and the level of detail isn’t great. Low-light shots exhibit the same issue. Video recording maxes out at 1080p and the quality is good in both daylight and low light. The front camera also manages some detailed selfies when the lighting is good. Another neat addition is the ability to directly read barcodes and QR codes from within the camera app. The mobile handset has a battery of 3000 mAh and with that, we managed to get 12 hours and 4 minutes of playback time in our video loop test, which is a very good. In actual usage, with both SIM slots occupied, we managed to go nearly a day and a half before having to charge the Moto G4 Plus. The phone also supports TurboPower or fast charging for quickly topping up the battery. The Moto G4 Plus is a welcome edition of the Moto G series, which takes it a step further in terms of features and performance. The smartphone incorporates a much needed SoC upgrade which keeps the latest version of Android running smoothly, a fingerprint sensor, a good camera for daylight photography, and all-day battery life. The above-mentioned qualities make Moto G4 plus a very good option in a price range of Rs. 15,000 and is available on Amazon in its black color variant. Though the competition is tough, but in our opinion, the Moto G4 Plus has enough qualities to stand firmly in the Indian smartphone market, the biggest one being timely Android updates. The G4 Plus would have been even much better if it would have retained the water and dust protection of its predecessor, and it wouldn’t have hurt to have a better low-light performance from the camera. Buyers can’t go wrong with the Moto G4 Plus if they are looking for a dependable low-cost smartphone that gets nearly everything right. Keeping aside a couple of low points, we trust that the Moto G4 plus is effortlessly one of the best smartphone available under Rs.15,000 today. In the coming days or months, the Lenovo Vibe K4 Note the Le 1s, and the Xiaomi Redmi Note 3 is going to get tough competition from Moto G4 Plus. We just hope that the information in the blog will help you decide on this latest smartphone by Lenovo-owned Motorola and If you have any suggestions regarding the blog, please put that in the comment section. Please, do forward your views and queries regarding any other smartphone, we will be more than happy to assist you in all possible ways.